Gail Borden was a teacher, land surveyor, inventor, real estate salesman and editor. He also invented condensed milk. He patented the canned milk in 1856, and preserved it by adding sugar. So thanks to him we can have Sweet Milk Sandwich Cookies. In a large bowl beat 1 medium egg. Mix in the butter, cookie mix along with the chopped nuts and coconut. First start the mixing with a large fork. 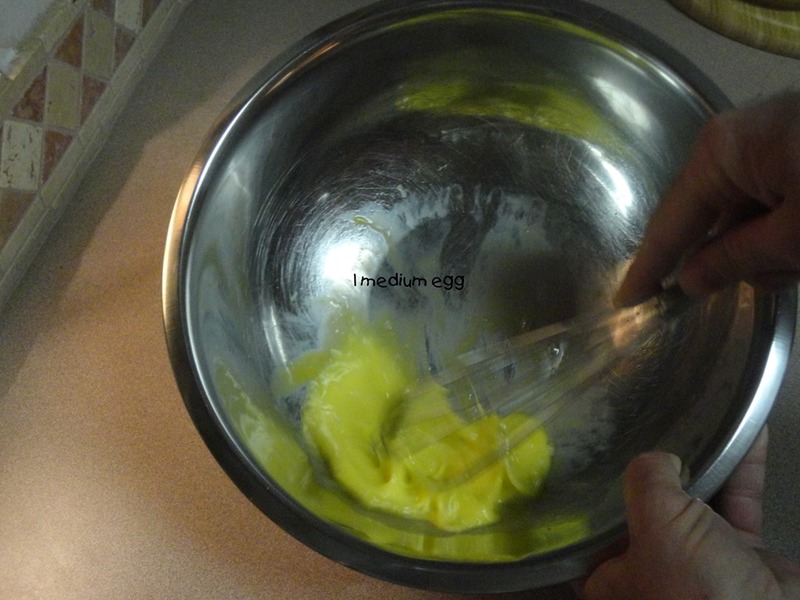 As the wet ingredients start to mix with the dry ingredients; put fork aside and use your hands to continue the mixing until you have firm dough. Divide the dough in half and sprinkle some flour onto a cutting board and flour your rolling pin. Then start to roll the dough about 1/4 inches thick. This recipe will make about 4 dozen cookies. Two dozen will make one dozen sandwich cookies and so on. Divide the dough into two halves. Roll out each half enough to make 24 – 2 inch round cookies. Roll the dough to about 1/4 inch thick. Place cookies on a light colored cookie sheet. Notice I am referring to a light colored pan? The darker the pan color the greater chance your cookies will be darker on the bottom sides, possibly to the point of burning. So I always use a glass baking pan or light colored nonstick metal baking pans. After your dough is rolled out, the cookies are cut and placed on the cookie sheet, bake 7 to 10 minutes or until lightly browned around the edges. Remove to a wire rack until they cool completely. After the cookies are done and have cooled about a good 20 to 30 minutes…place 48 cookies on a clean cutting board as shown in the picture. Next open a room temperature 14 oz. can of sweet milk and on the 2nd and 4th rolls spread 1 tsp. evenly over each cookie. Now on the 1st and 3rd rolls place a dab or two of sweet milk. 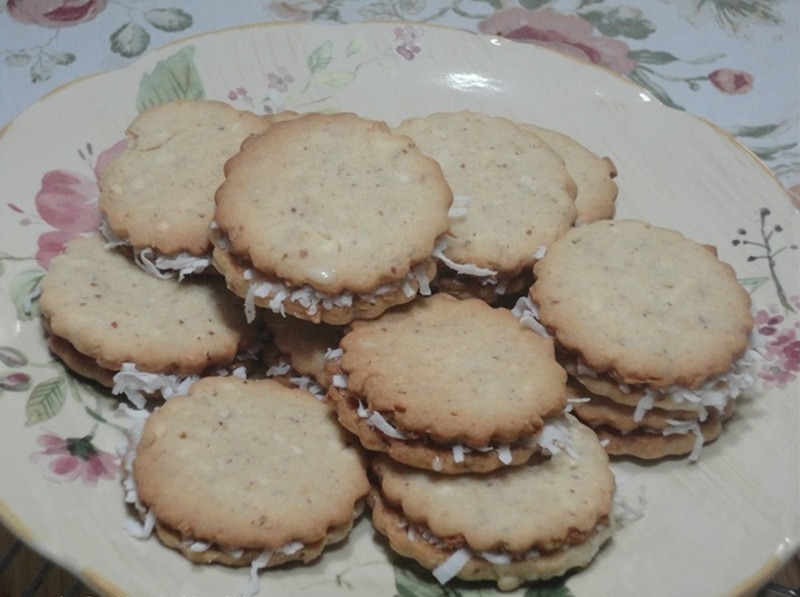 With 1/2 cup of coconut sprinkle generously the coconut around the outer edges of the cookies with the ones that have the 1 tsp. of sweet milk. Place the 1st and 3rd roll of cookies over the ones with the coconut on them to form a Sweet Milk Sandwich Cookie. After cookies have set with the sweet milk, remove from refrigerator and place on a plate. We hope that you can make these cookies for your family and friends. Oh so sweet are those Sweet Milk Sandwich Cookies. This entry was posted in Dessert and tagged Coconut, Condensed milk, Cookie, Dough, Gail Borden, Milk, sandwich cookies, shredded coconut, Surveying, sweet milk, Sweet Milk Sandwich Cookie, Sweet Milk Sandwich Cookies. Bookmark the permalink. Thanks Roger!! Always nice when all can be on the same page. Hope you make these cookies for yourself, they are really a treat.